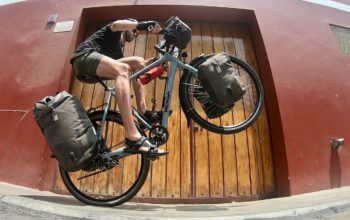 The Salsa Vaya has been in Salsa’s bike lineup since 2011, starting life as their go-to road touring bike. 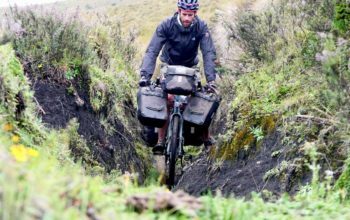 But as the years have gone by, Salsa have diversified their touring range to now include a round-the-world touring bike, pushing the Vaya model down the path of a gravel grinder. The frame says otherwise however, with generous tyre clearances (29×2.00″ will fit! ), lots of braze-ons, a short reach, a tall front end, plus long chainstays and a long wheelbase. 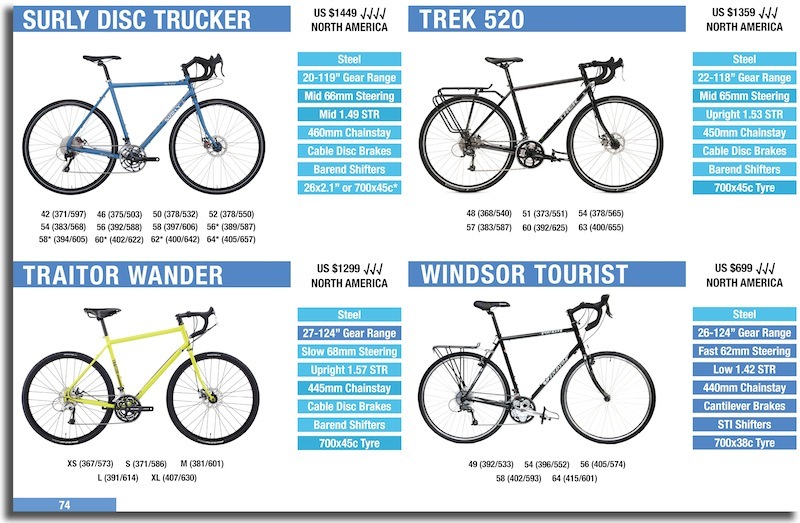 In terms of the frame design alone; it’s actually an ideal long distance touring bike. 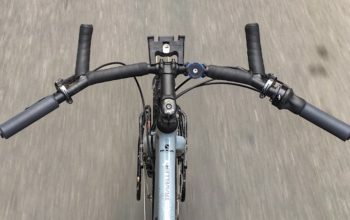 The reason why it’s categorised as a light touring bike is due to the part specification; the Vaya models all use road double cranksets, integrated shifters and the higher gear ratios found on light touring bikes. The 2017 Salsa Vaya frame has been updated to use their triple-butted, seamless CroMoly steel tubeset. It now has a third bidon mount under the downtube (omitted in 2016). The geometry has been tweaked ever so slightly to provide more standover height on each frame size. 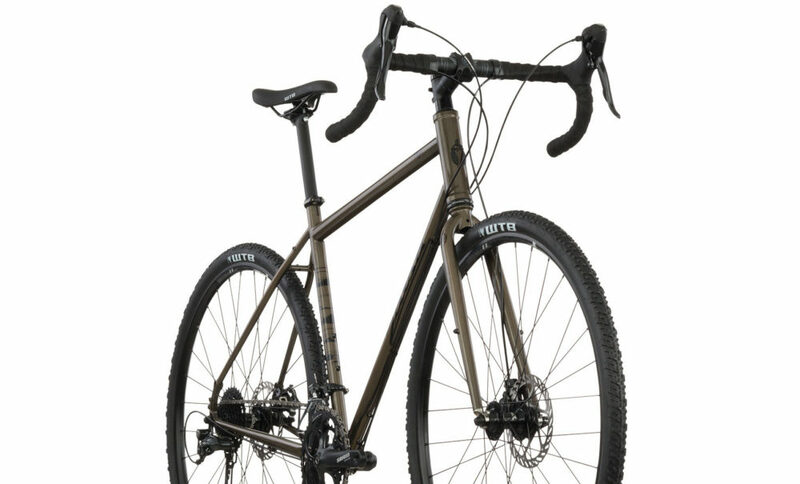 Unfortunately, Salsa haven’t yet changed their Vaya sizing to be based on the more progressive “stack/reach model” (rather than using effective top tube length) like on their other bikes. Maybe next season. Unlike most other bike brands, the Salsa Vaya models all share the same frame, similar wheels and many of the components. The frame and wheels arguably play the most critical role in defining the way a bike rides, so kudos to Salsa for ensuring that all price points get nice gear. That leaves the key differences between models down to the gear and drivetrain specification. 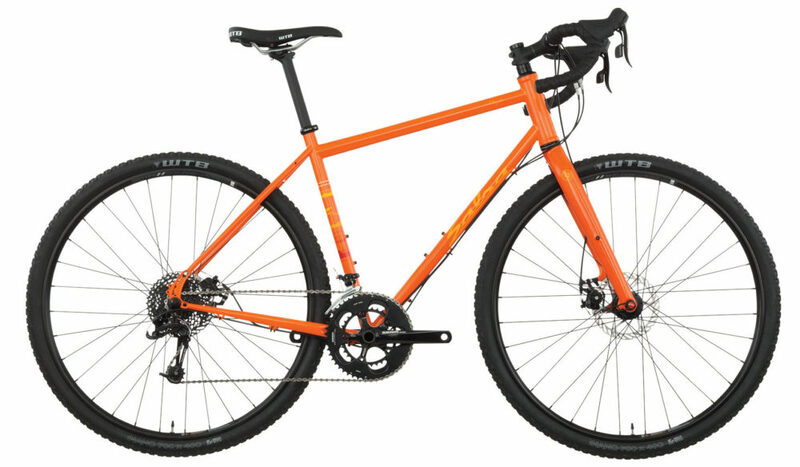 The 2017 Salsa Vaya GX in orange. 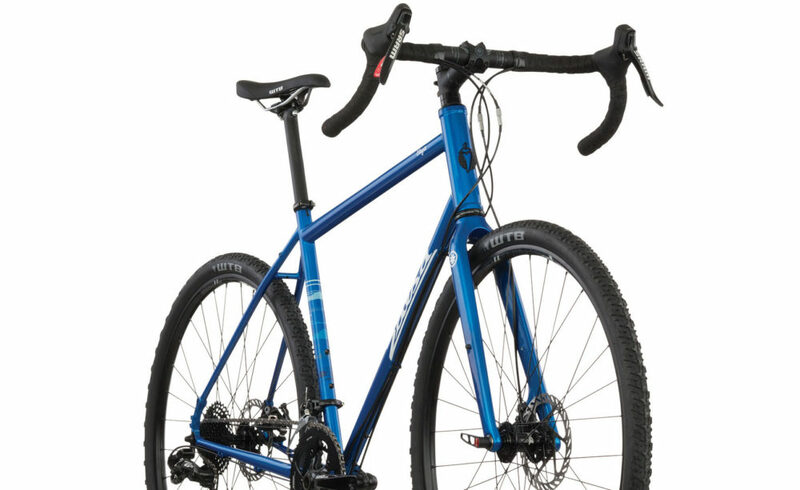 The 2017 Salsa Vaya GX in blue. The top model Salsa Vaya is the only one with a carbon fork. This brand new full carbon fork has a tapered steerer and 15mm thru axle that will both dampen vibrations, and take a significant chunk of weight out of the bike overall. The hidden fender mounts are a nice touch! The 2017 Salsa Vaya GX uses 10-speed SRAM Apex road bike parts combined with a SRAM GX mountain bike derailleur and cassette. This yields a gear range of 26-124 gear inches. If you wanted to take the Vaya on steep off-road climbs, you may want to consider swapping out the road crankset and front derailleur to MTB parts instead. Using the SRAM GX-1000 38-24t crankset, the 19 gear inch low gear will be very acceptable off-road! 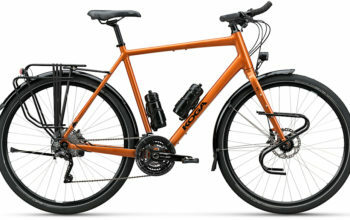 The Salsa Vaya GX is available in orange or blue for US $1799. The 2017 Salsa Vaya Deore in dark red. The 2017 Salsa Vaya Deore in dark green. The 2017 Salsa Vaya Deore comes with the Vaya steel touring fork with eyelets and mounting holes for dynamo lights, fenders and racks. This model mates Shimano Sora 9-speed road shifters to a Shimano Deore MTB rear derailleur and cassette. The 27-119″ gear range is suitable for light loads and rolling hills. 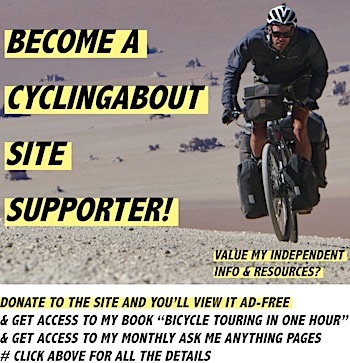 Again, you could swap out the front crankset and derailleur to achieve better offroad touring gears if you needed. 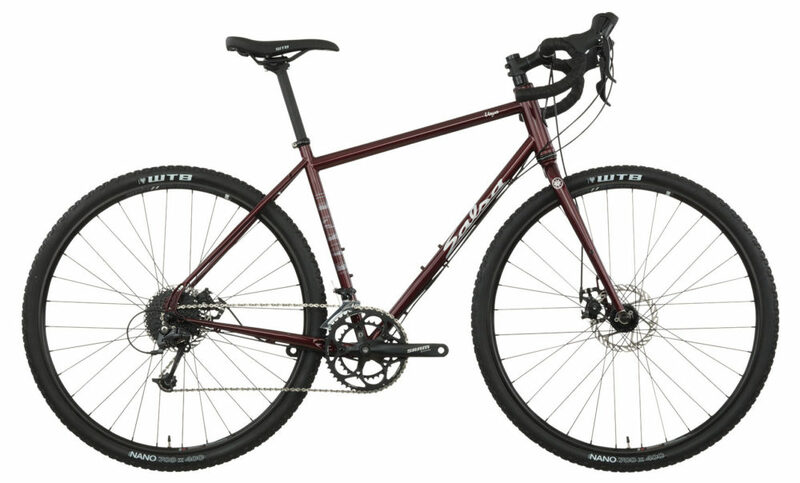 The Vaya Deore is available in dark red or dark green for US $1399. The 2017 Salsa Vaya Claris in cream. 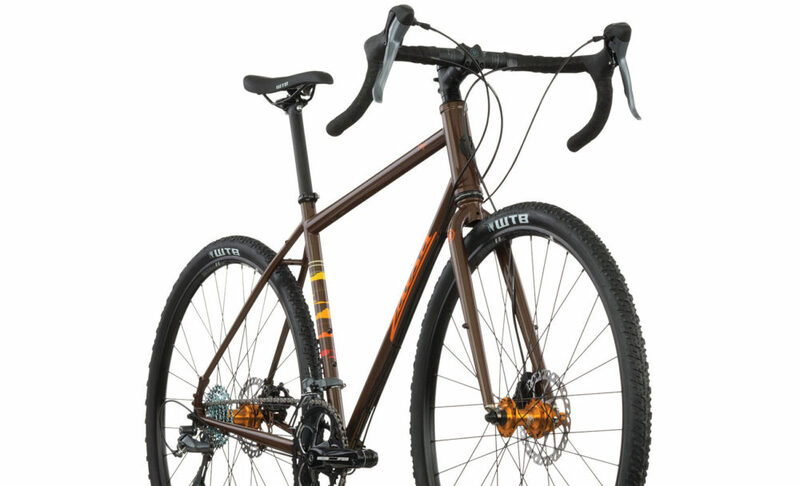 The 2017 Salsa Vaya Claris in brown. 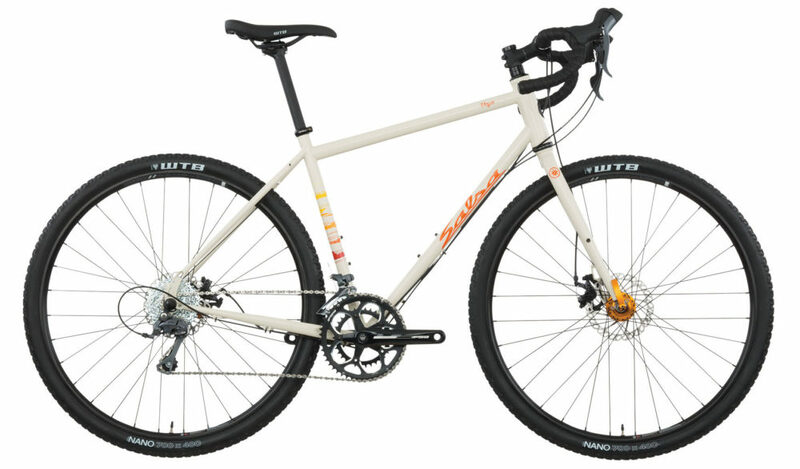 At just US $1099, the Salsa Vaya Claris is the cheapest Vaya ever! Given that it has an awesome frame, fork and wheels, it could be a great bike to upgrade down the track. 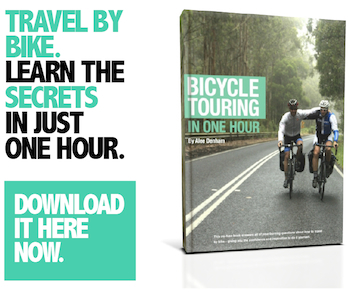 This 8-speed bike cuts corners to reduce the cost with the gearing and brakes in particular. You don’t get the Avid BB7 disc brakes from the Deore and GX models, instead you’ll get a less adjustable option by Hayes. 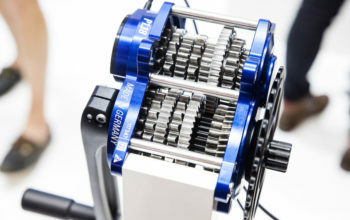 As this bike has 16 gears, it misses out on some of the low gears of the other Vaya models. That means the gear range works out to be 29-124″. The 2017 Salsa Vaya Claris is available in cream or brown.